What would you like to learn more about growing potatoes? In this article I will try to answer some of your questions. When we go to the store to buy potatoes, we see very few varieties. The reality is, potatoes are very diverse. 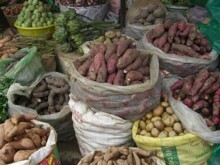 When you trace back the origin of most potatoes to Peru you see that diversity. By growing potatoes for yourself, you can bring some of this rich diversity into your diet. Besides being a source of good carbohydrates, potatoes (especially the skins) contain many vitamins and minerals, including vitamin C and potassium. Bake potatoes until they are soft, but to receive the most nutrients don’t overcook them. potato contains only about 150 calories. Potatoes like to grow in the cooler months of the year. If you are growing potatoes in a climate that has hot summers plant potatoes 3 to 4 weeks before your last spring frost. I live in central Georgia and I always try to plant around the end of February or the first of March. If your summers are milder you can plant later in the spring. Most varieties mature in 90 to 110 days. You want your potatoes to mature before the temperature is consistently in the 80’s. 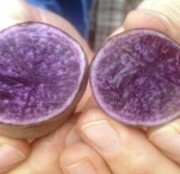 of the different color potatoes like purple, yellow or red. Your local nursery or feed and seed stores usually has 2 or 3 varieties, so check with them. I have purchased potatoes online from New Sprout Organic Farm. Potatoes are sold as seed potatoes. They aren't actually seeds, they are just potatoes that are certified disease free. The larger potatoes can be cut up into pieces that contain at least 2 to 3 eyes (this is where the sprouts come out). Allow a day or two for the cut potatoes to heal over before planting them. 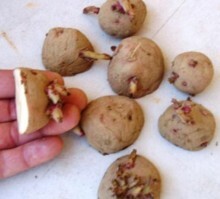 You can also keep your little chunks of potato inside where it is warm for a little longer to pre-sprout them. Be careful when planting pre-sprouted potatoes not to break off the sprouts. Although grocery store potatoes may sprout, they sprout more slowly. Why? Because they have been sprayed with a chemical to keep them from sprouting. This may help them last longer in your pantry, but it doesn't help when your goal is growing potatoes. That's why I get my seed potatoes from other sources. There are several methods you can use when planting. Use a deep container that has drainage holes. Plant your potatoes in about 3 to 4 inches of organic potting soil. When you see them sprout, cover the sprouts with more potting soil, leaving only the top 2 or 3 leaves exposed. Continue this process until you have filled the container with dirt. Our plan is to create more roots, and therefore increase the number of potatoes per plant. Once your potato vines start to turn brown (which indicates that your potatoes are ready to harvest), you should have a container full of potatoes that you can dump out and collect. Make a trench about 4” to 6” deep in loose soil in the garden. Plant the potato pieces with eyes facing up, about 12” apart. The rows can be about 24” to 36” apart. As the potatoes grow, pull the soil from between the rows up around the sprouts, leaving only two pairs of leaves uncovered by soil. Place your seed potatoes on loose soil that has been amended with organic compost and fertilizer if needed. 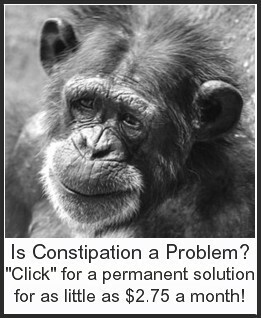 Avoid manure in your compost for potatoes. Space potatoes 12” apart in rows or scattered across the bed. Cover you potatoes with 4” of weed free straw. Add more straw around the stems as they grow, eventually creating a layer of straw about a foot thick. The straw will help conserve moisture and smother the weeds. When the tops of the potato plants begin to turn brown and die it is time to harvest. Pull away the straw and collect your potatoes. Whichever method you choose for growing potatoes, remember that they do best in a soil that is slightly on the acidic side. A soil pH of just below 6 works best. Most vegetables don't like acidic soil, but it is perfect for potatoes. A rich organic soil will produce more potatoes. Ideally it is best to have a recent soil test to know what nutrients you have available in your soil. The rule for potatoes is that they need more phosphorus and potassium than nitrogen. They are heavy feeders, so fertilize at planting, and 2 or 3 times during the season. As with any living thing, potatoes will benefit from the nutrients found in Mycorrplus which has a good supply of trace minerals. Mycorrplus is a great source of trace minerals. It will supply the needs of your potatoes, plus trace minerals are vital for human health as well. You will need to water your potatoes whenever you don't receive a least an inch of rain a week. A good soaking once or twice a week is better than wetting the top of the soil often. As your potato plants grow taller, its a good idea to pull soil up around your potato plants. As you bury the stems of the plant it will create more roots, and therefore more potatoes. We call this hilling the potatoes because you are making a hill around the plants. The other benefit of hilling is that you are cultivating the weeds at the same time. Colorado potato beetle is the number one insect to be on the look out for when growing potatoes. The adult is yellow with black stripes. They lay orange eggs on the underside of the leaves. The larvas that hatch from the eggs are red and they eat the leaves and flowers. 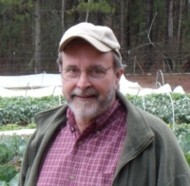 Crop rotation, handpicking and an organic spray called Spinosad are good organic controls. Other insects to look out for include flea beetles, slugs and snails. Scab is a corky patch on the potato skin that is caused by bacteria. To avoid this when growing potatoes, stay away from manures, rotate crops, maintain even moisture and keep the pH values below 6. Keeping the leaves of your potatoes dry by using drip irrigation will aid in keeping fungus diseases in check. Potato vines begin to die when they are finished making their crop. You can start digging your potatoes when the foliage starts to turn yellow. Using a spading fork gently dig your potatoes by getting underneath them and lifting up. Knock off the excess soil and allow them to dry indoors away from the sunlight. Potatoes left in the sun too long will start turning green and that can case bitterness and can even be toxic. Eat the damaged or blemished potatoes and store the perfect tubers in a cool 50 to 60 degree storage place. If you don’t have a perfect place to store potatoes, like a root cellar, you can blanch and dry potato slices or can them in a pressure cooker. Wash about 2 pounds of potatoes but leave on the skins and allow them to dry. Cut large potatoes into 2” pieces and small potatoes can be left intact. Place potatoes in a baking dish and drizzle olive oil over them. Add rosemary, salt and pepper. Place them in a preheated oven at 425 degrees. Roast uncovered for 30 minutes to an hour. Potatoes are done when they are easily pierced with a fork. The satisfaction of growing your own food is good for the body and the soul!